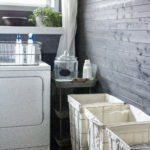 I have shown you a lot of pictures of my laundry room over the past year. They have all been the pretty angles. I still have quite a ways to go before I would consider this room done. 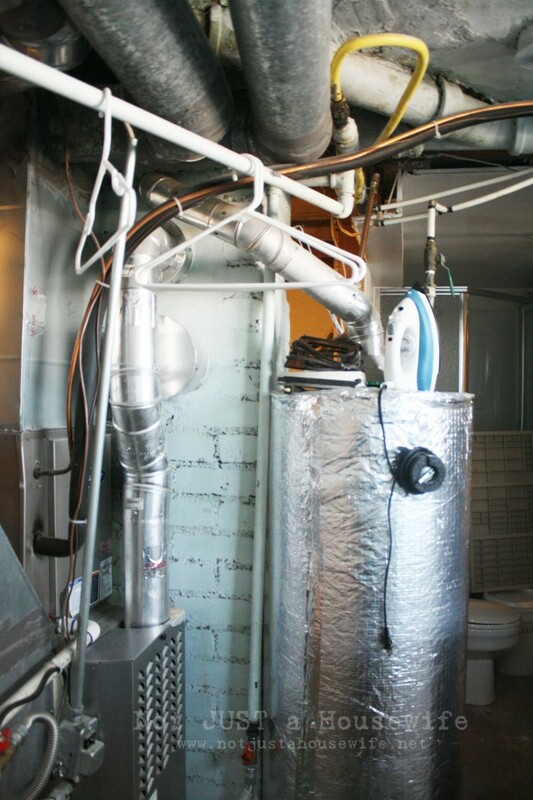 Here is a picture I took (before we added the wall between the bathroom and the laundry room) that shows the furnace and the water heater. 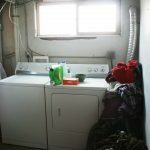 Yes, it is unsightly, but no one really goes down into my laundry room so the sight of it alone was not a huge problem. Dust from the lint in the dryer was. Every time we pull out the lint trap dust goes everywhere. It would get sucked into out furnace and then our furnace wouldn’t work as well. We were vacuuming it out weekly with our shop vac and changing the filters more often than was the norm. Having a washer and dryer in the same room as your furnace is not ideal we have found. My first idea was to hang a curtain. But after thinking it over we decided there was a chance the curtain could get sucked up against the furnace and smother it. Then an idea hit me! I had a room divider (slash privacy screen) that had been in the front room for YEARS. We bought it to hide the treadmill in one of our early appartments and then when we moved here it hid the filing cabinet in the front room. It had slats so the furnace could “breath” but would hopefully block most of the dust. The other downside to using a curtain was that I would not be able to hang things from it like an additional wall. 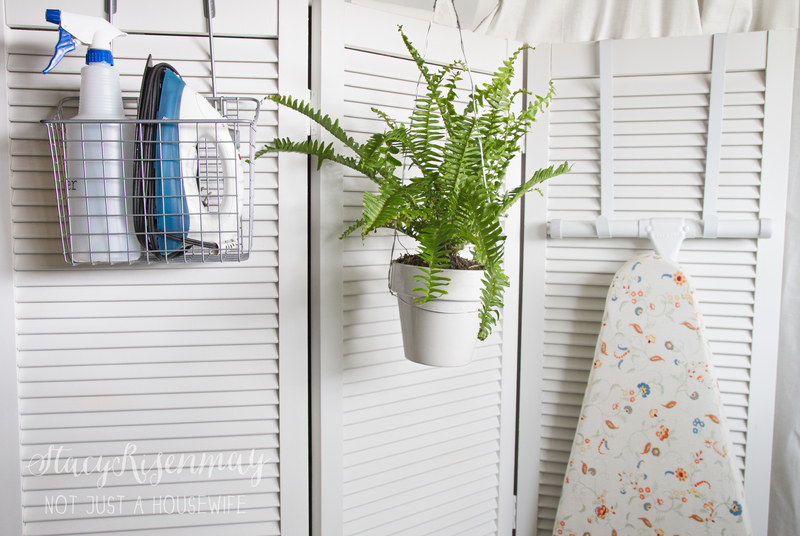 The screen provides a place to hang the ironing board and the iron and water bottle. Not that they get used a lot, mind you, but it is nice that they have a place. I got this over the cabinet door basket from Walmart for about $8. It is the perfect size! The screen was a cream color and I wanted it to be a bright white. Plus it had some wear and tear. I sanded the places where paint and chipped, cleaned it really well, primed it and painted it with the HomeRight Finish Max. Can you imagine painting all those little slats with a paint brush?!? As always, the Finish Max gave it a baby bum smooth finish and got in all the little places that would have been a pain to paint by hand. It went so FAST! 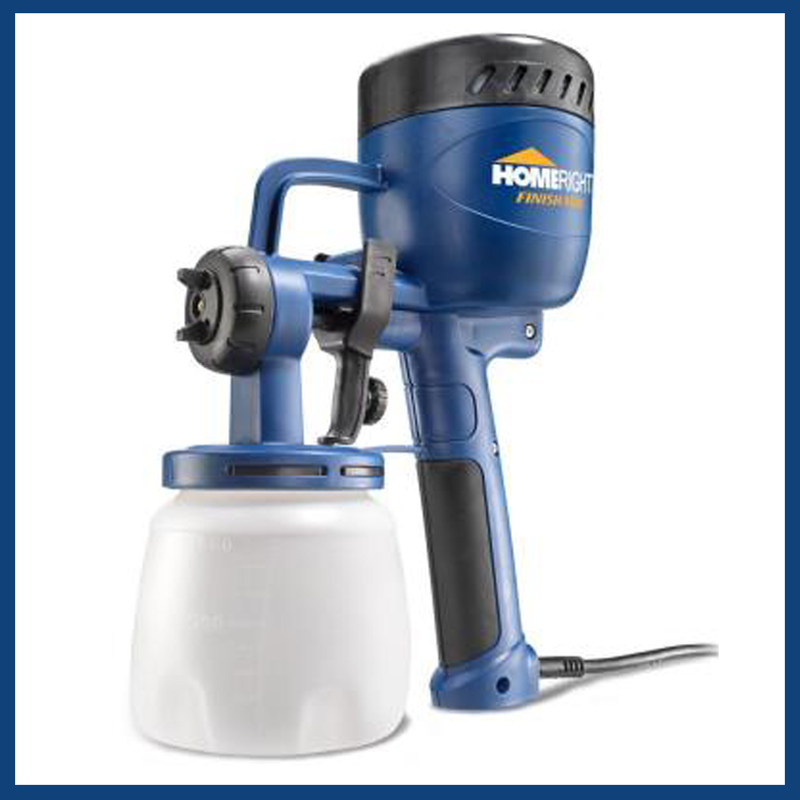 And since I am a brand ambassador for HomeRight, I get to giveaway these sprayers on a pretty regular basis. Do you want one? Do you have something you need to get painted now that it is warming up? *Must be 18 years or older and a resident of the USA at the time of the contest. Giveaway will run from March 15, 2015 until March 22, 2015. The winner will be chosen via random.org and notified by email. The winner will have 48 hours to respond or a new winner will be chosen. The prize will be shipped by HomeRight. 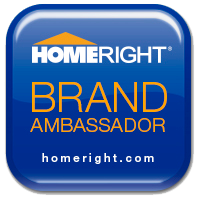 I am part of the HomeRight ambassador program. I am compensated for my time in reviewing/using the products and writing/promoting the posts. The thoughts, opinions, and project ideas are all mine! I would paint my kitchen chairs – would love to do each in a different color. The railing on our front steps needs major attention. Geniusl It looks fabulous Great solution. I have a bathroom that has been in progress for a year. We need to spray all the cabinets. I would love to use that sprayer on tons of my projects around the house!! I have bookcases that I’m dreading painting, so they’d be first. I need this for my living room! I have a ton of trim to paint, plus a plank wall that needs another coat. It would be well used in my house! I would paint all the doors in my house! We are just about to give our kitchen cabinets a facelift. We are going to paint them all white. This sprayer would definitely cut our time painting in half. I have some furniture that needs some serious attention! I have a built in cabinet project in my head, perhaps this would get me started! Goodness – a sprayer would come in handy!! we have a table and a door that need painting that I’ve been putting off! I have wanted one of these for a long time!! I would paint some wicker furniture that could use refreshing! I have several pieces of furniture that I would like to paint: a desk, nightstand, kitchen table and chairs, coffee table and end tables. I also have a couple of closet doors that need painted. I’m certain I could keep myself quite busy with a sprayer! What wouldn’t I paint would be the question. First thing an old door I plan to use for my son’s headboard. Need to paint the garage door and then the bathroom. i would paint a similar screen and anything that sat still long enough most likely. a lot of unfinished projects at our house. 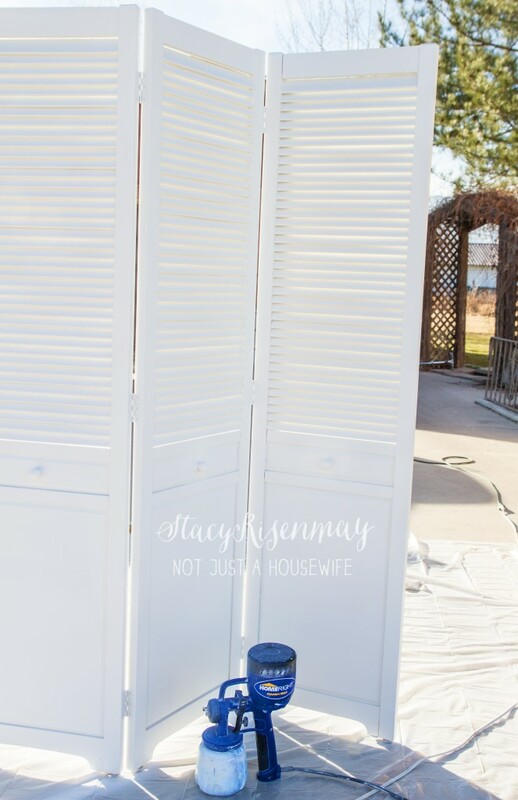 I would paint the new shutter my husband is making for our house. 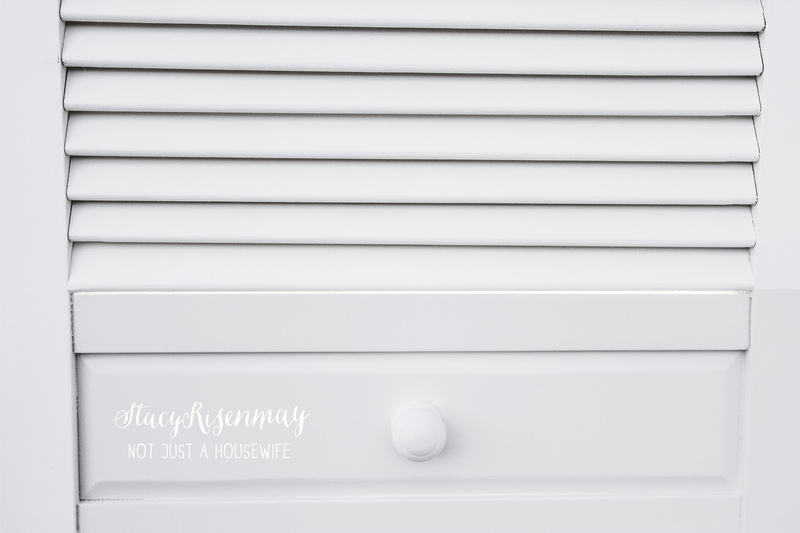 Spring is around the corner which means it will soon be painting season and to start it off with a bang, I’m FINALLY going to paint a vintage secretary. This sprayer would sure make the job a lot easier! Fingers crossed! The first thing I’d paint would be my garage. It really needs it. I just bought a piece at a garage sale that needs paint! This would be wonderful. i just bought some chest of drawers from a closing shop to use in my crafting room and they are hideous! Oh I love it!!!! I would start with all our doors – the builders didn’t do a very good job on them & so I feel they need an extra coat. I would paint a dresser and have the time cut in half! 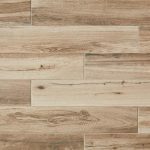 I would gift this to my son who is about to start a major closet building project at his condo – he needs this for the finish spray! I would paint the Adirondack chairs that have been waiting to be painted for 2 years. 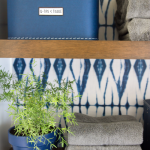 I would add fresh color to anything that paint would stick too… starting w/ my doors, kid rooms, garage….. oh, the list! To start, I would paint a cute little end table and a floor lamp we have Barn Red! Thanks for the giveaway. Wicker furniture for the front porch really needs to be painted, and this would be the way to do it! That would be a start at least. What doesn’t need to be painted?! Our whole living area, a baby’s room, then many pieces of furniture to redo. Wish I had it when painting a dresser and bookshelf a weekend ago. Didn’t get that baby bum smooth finish. I have a ton of things that need painted. A dresser, my cabinets in my kitchen, and a small shed outside just to name a few. 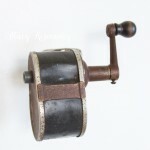 I’d love to use it to paint a piece of furniture that needs updating!! The whole inside of the house. 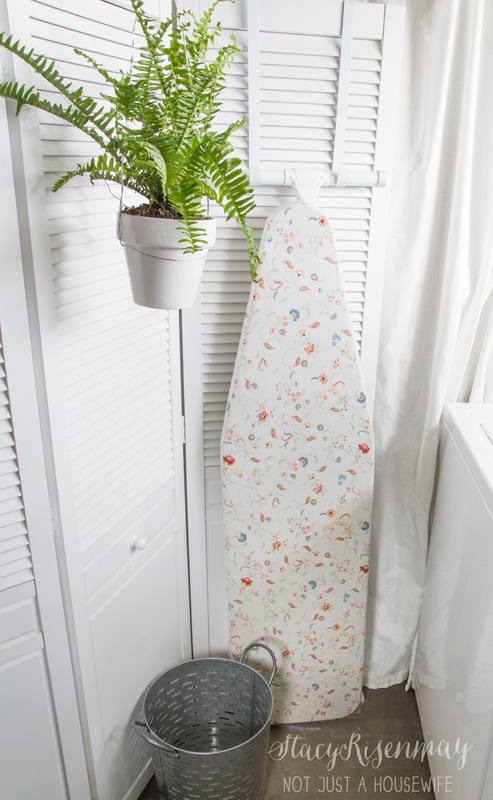 Love how the screen doubles as storage for your ironing board and supplies. It’s the perfect pretty and still functional solution! Oh, what would I paint?? EVERYTHING! But seriously, I’d start with our fence in the backyard. It needs a lot of repairs and I don’t want to hand paint that sucker. I have many things to paint this Spring! I am building a new room for my 3 year old and should be finishing the drywall this week. Would love to have a sprayer so I can paint this room right. I have lusted after one of these paint sprayers for quite sometime. I asked Santa for one for Christmas but didn’t get it. I am a widow in Utah who has a son who lives in New Jersey. About 5 years ago, I got into the DIY spirit. I remember him asking me one time “Is there anything we can get you for your birthday or Christmas that can’t be bought at Home Depot or Lowe’s”. Duh, no! If I don’t win this one I think that I will buy myself one for Mother’s Day. I have a bunch of furniture that I would LOVE to paint!! Love the way the screen hides all the “ugly”. Brilliant idea. 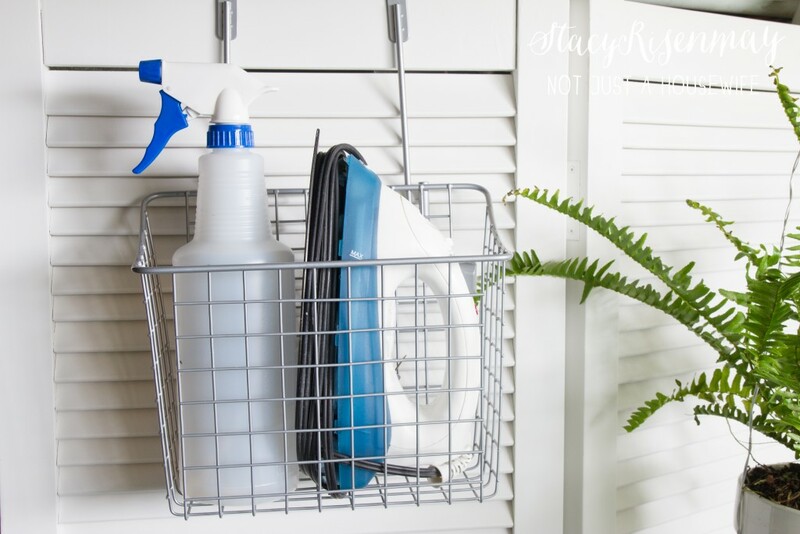 I so very much want a Home Right sprayer. I need to paint a bead board wall in my room, some doors that will become a headboard and some orphan chairs! I would paint some old end tables I have, and then move on to the built-in bookshelves we are working on! We don’t have a house yet, but I’m sure that when we can afford one, it will definitely be a fixer-upper! Thus, there will be tons of painting to do! A sprayer would make renovations SO much easier! I need to pain my living room and kitchen and some blinds. We’d love to repaint the doors throughout our house. I’ve always wanted to try a sprayer. I have a ton of intricate cedar enclosures and this would be fantastic! Oh my word this would be AMAZING to help me get my bathroom, master bedroom, and downstairs family room painted!! The time it would save would be AMAZING!!!! I have some furniture I would like to paint and re purpose! I want to start making signs as gifts and to sell. A HomeRight Finish Max Paint Sprayer would sure speed up the process!! The paint job looks flawless! I would paint my kitchen cabinets! I would love to paint my kitchen walls and the hallway by the front door with this. I’d paint lots of interior doors and my whole basement we’re finishing. We have s spare bedroom in our home that we want to convert into a playroom. the first thing i would paint ,my Wooden Garden Bench! Great Job on the Laundry room! looks awesome! We just started a business flipping houses. This would be sooo helpful! If I had a sprayer,I’d paint everything in sight! I would love to paint some furniture pieces. This would be great! Thanks for the chance. I have kitchen cabinets that need to be painted & a paint sprayer would be ideal! I bought a framed mirror for my daughters room but it was black and I have trying to get it painted for the last three years. This may be just what I need to get it done!!!!! Oh boy could I use this for MANY household projects. I have the same ugly furnace in my laundry room! I have this hope that if I make the room pretty enough, laundry will be tolerable. 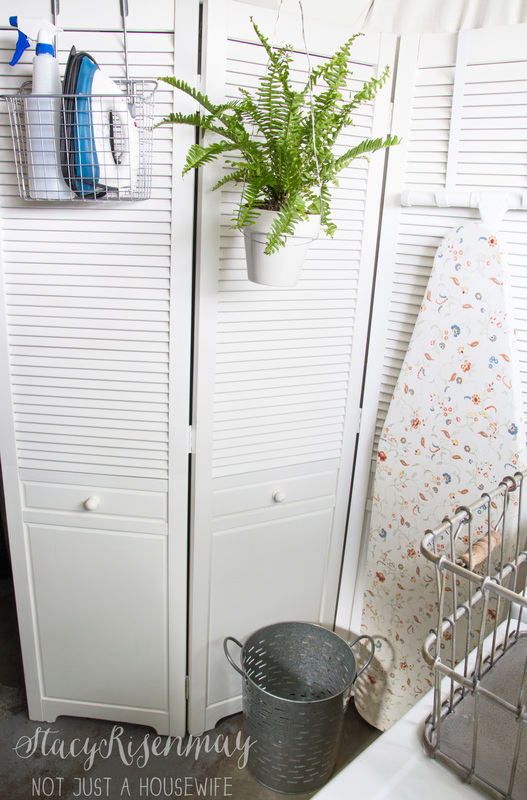 I’ve added some beach art from Homegoods, but I still hate laundry! Love your screen hiding the furnace monster! Thanks for the inspiration! My kitchen cabinets need a redo! I would paint antique radiators and kitchen chairs. I’ve been wanting to spray our ugly filing cabinets. This would be perfect! 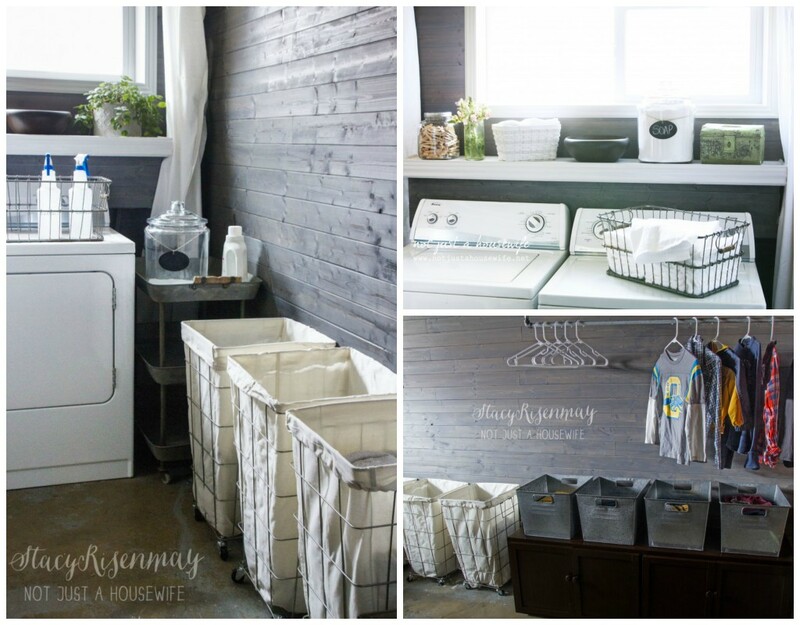 Love your laundry room. Love, love. I need to paint my ENTIRE apt.!! Bedroom, living room, kitchen, 2 halls and a bathroom…getting tired just thinking about it lol. I would paint every. door. in. the. house! 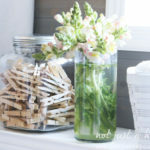 With this site I just may learn “how” to clean my house and I have a lot of things that need painting!!! I’d LOVE to paint my outdoor furniture with this amazing piece of equipment! I need to paint our storage building – This would make it a lot easier! Thanks! I would love to spray paint my kitchen cabinets. I would paint my doors. I have a coffee and dresser table that could use some jazzing up! I have an outdoor swing that desperately needs to be painted- this would really help! I love your idea for a privacy screen. 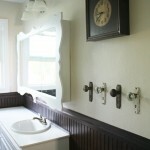 We did a similar thing to cover a hot water in our old cottage. I think your laundry room is amazing. Would love a chance to win the sprayer too! I would paint everything and I would get it done faster! I have about 20 painting projects waiting for me to have time to do them. My #1 big spray painting project is to paint all the white doors in my house. I’m planning on painting the ones downstairs navy blue and the ones upstairs chocolate brown. I just need that sprayer! I would paint our whole house. We just bought it and EVERY room needs to be painted. There are so many things to paint because we just moved! I might try painted some cabinets first. oh my gosh! we are moving soon into an extremely dated home that needs LOTS and LOTS of new paint! would LOVE so much to win this!!!!! I would paint this MDF board armoire that is ugly fake wood. Put some paint on it and we won’t notice it’s not real. Thanks for a great giveaway! One of the first things I would paint would be my shutters. They have been up for years, and they certainly could use some updating. I am going to be painting our kitchen cabinets. This would be perfect! Every room in my house needs painting along with the closet doors just to begin with. I have painted bar stools, railing spindles, ceilings and have much more to do. This would pick up my pace. Beautiful makeover! I love this sprayer so much!!! I have really wanting to paint my front door. I think I would start there! Hi Stacy! I would paint 6 “ladies chairs” from the early 20th century. Not having to go in & out of legs & rungs with a paintbrush? Heaven! I would paint my deck. I have hundreds of feet of fence to paint – this would be a lifesaver! I would paint a table that’s in my living room. And then some bookshelves upstairs.